For normally active adult dogs. Tastefully prepared with select proteins and wholesome ingredients. Enhanced with probiotics to aid digestion and salmon oil for a healthy coat. Please note: This recipe was recently updated. Click here to learn more. Chicken, Chicken Meal, Chicken Broth, Oat Groats, Pearled Barley, Brown Rice, Chicken Fat, Menhaden Fish Meal, Dried Tomato Pomace, Dried Egg Product, Whole Oats, White Rice, Chicken Liver, Whole Barley, Potatoes, Cheese, Flaxseed, Salmon Oil, Brewers Dried Yeast, Duck, Lamb, Carrots, Sweet Potatoes, Celery, Alfalfa Meal, Salt, Monocalcium Phosphate, Potassium Chloride, Chicory Root Extract, Vitamins, Minerals, Yucca Schidigera Extract, Sorbic Acid (Preservative), L-Tryptophan, Taurine, DL-Methionine, Sodium Selenite, Probiotics. 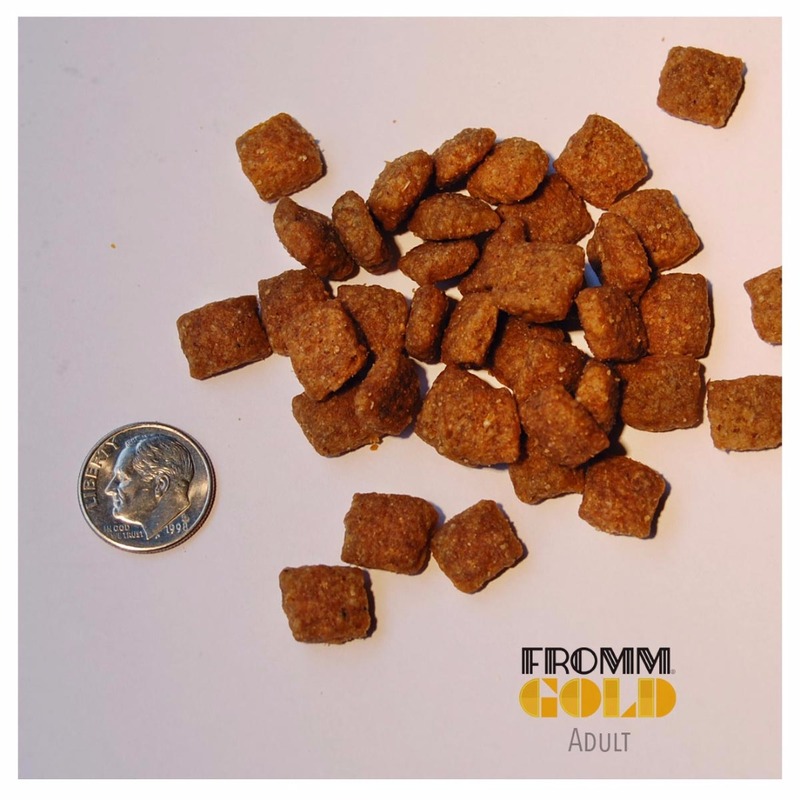 Fromm Family Adult Gold Food for Dogs is formulated to meet the nutritional levels established by the AAFCO Dog Food Nutrient Profiles for growth and maintenance, including growth of large size dogs (70 lb. or more as an adult).